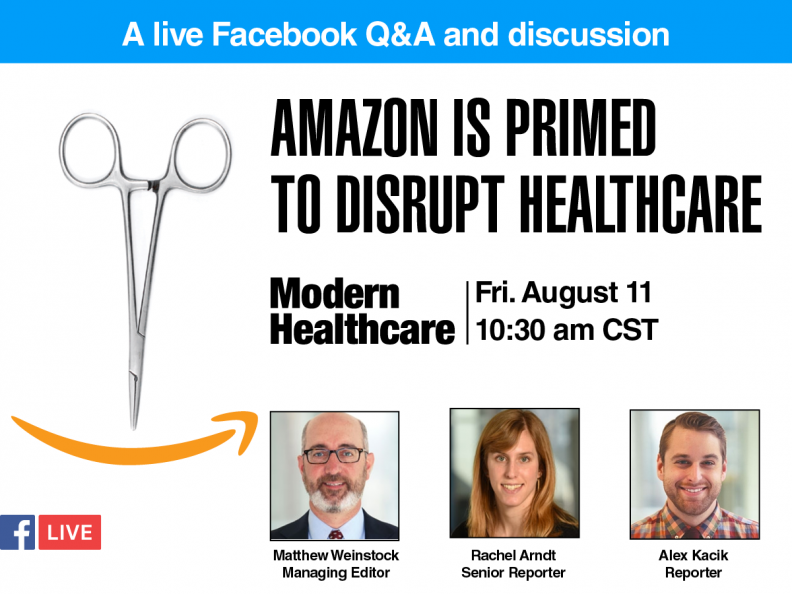 Modern Healthcare hosted a Facebook Live discussion Aug. 11 with managing editor Matthew Weinstock and reporters Rachel Arndt and Alex Kacik on Amazon's growing role in the healthcare space. If you missed the live chat, watch a replay of the session. 1. "Amazon poised to deliver disruption in medical supply industry"
2. "Virtual assistants like Amazon's Alexa could change the way care is delivered"